Tate & Hill is committed to providing a safe working environment. We understand that the Construction Industry is a demanding industry with a high degree of risk for work-related injuries. Our employees are our greatest asset and only through them can we achieve success with our customers. We strive to do all that we can to prevent work-related injuries and illnesses. Our trucks are equipped with Fire Extinguishers, First Aid, and proper Personal Protective Equipment. Journeyman and apprentices are trained in First Aid, CPR, & have OSHA 10 & OSHA 30 training. We constantly evaluate and implement new programs and training strategies in an effort to reach our ultimate goal of totally eliminating occupational injuries. 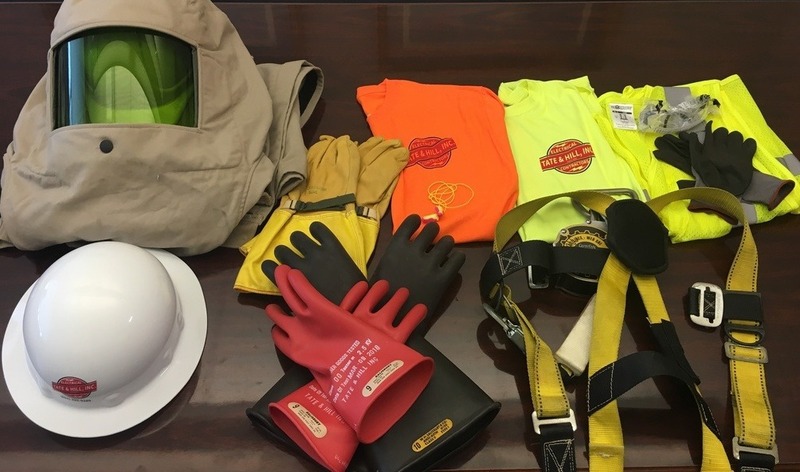 At Tate & Hill, safety is of the utmost importance.